Brennan IT and Data#3 are among some of the companies that have emerged as winners at the APC by Schneider Electric Awards, part of the company’s Innovation Summit. 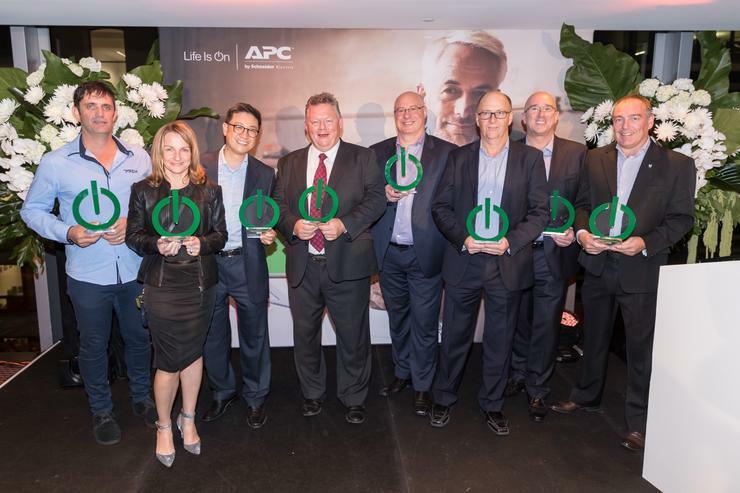 The APC by Schneider Electric Awards aim to highlight the efforts of the company’s local partners and distributors for 2016, celebrating successes related to sales excellence, innovative campaigns and product expertise, and highlighting their work through partnerships. Brennan IT took home the MSP of the Year 2016 award. Targeting growth, the company recently expanded its team with a double executive appointment of Wayne Simmonds and Andrew Borthwick in Australia, designed to help spearhead growth across its mid-market and channel businesses. A key focus for Brennan IT has been digital disruption and having customers at the centre of a modern business strategy. “Digital disruption is everywhere. Whether you run a clothes shop or a large financial institution, technology has become a core part of doing business," Brennan IT CEO, Stephen Sims, said previously. "And customer-centricity is the key to success. Digital disruptors make it their mission to not just develop a customer-centric strategy, but put in place measurable actions and outline clear responsibilities for engaging with customers." Brennan IT also recently secured a 50 per cent stake in cloud and connectivity business, Fastrack Technology, and completed an internal migration to ServiceNow, utilising the vendor’s ticketing system to bolster service desk capabilities for customers. Data#3 nabbed the Services Partner of the Year 2016 award. Data#3 has delivered an increase in sustained earnings for the first half of the 2017 financial year, backed by continued cloud services growth. For the six months ended 31 December 2016, the Brisbane-based IT solutions provider reported a 10.6 per cent rise in revenue, reaching $506 million with cloud-based revenues totalling $58 million. “The solid financial and operational results reported today reflect our strategic and increasing focus on growing our portfolio of services,” Data#3 CEO and Managing Director, Laurence Baynham, said previously. Data#3 has also recently deployed a hybrid cloud solution within the Victoria State Emergency Service (VIC SES), leveraging Microsoft Azure in a three-year managed services deal. Other award winners at the event include Ingram Micro as Distributor of the Year 2016, Dell as Elite Partner of the Year 2016, Natural Power Solutions (NPS) as Premier Partner of the Year 2016, and Airmaster as Select Partner of the Year 2016. “Being a partner with APC by Schneider Electric as well as being a part of the Ecoxpert program demonstrates to Airmaster's customers and the broader market our ability to offer products and solutions that meets their every growing needs,” Airmaster controls and automation national business development manager, Tom McDonald, said. In addition, individual awards were handed out, with Atish Singh from Ingram Micro winning the Distributor Sales Champion of the Year 2016 award, Jana Onderkova from Dicker Data winning the Distributor Technical Champion of the Year 2016 award, Rob Steel from Dell winning the Partner Sales Champion of the Year 2016 award, and Gavin Bailey from PREH winning the Partner Technical Champion of the Year 2016 gong. APC by Schneider Electric also inducted Wayne Furneyvall from Servcore and Malcolm Edwards from Pacific Datacom into its Hall of Fame. “We want to recognise the best of the best. These awards recognise the best of the best, and our inaugural Hall of Fame celebrate representatives from distributors and partners that have worked with us for a long time,” APC by Schneider Electric channels and alliances general manager, Muralee Kanagaratnam, added. Will Ingram Micro’s new financing options make it to Australia?